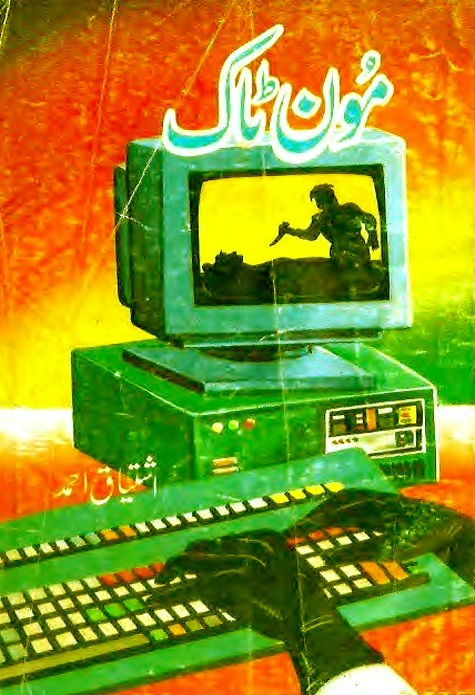 You can download Moon Talk ( Urdu مون ٹاک) by Ishtiaq Ahmad free in pdf format. Ishtiaq Ahmad (اﺸﺘﻴﺎﻖ اﺤﻤﺩ ) was a Pakistani fiction writer famous for his spy and detective novels in the Urdu language. He started by writing short stories for children and then wrote his first novel in 1973. He was at his peak of popularity in the '70s to '90s due to his Inspector Jamshed series, Inspector Kamran Mirza series, and Shoki series. As of 2014 he was an editor of the magazine Bachon ka islam and writing novels for Atlantis Publications, Karachi. Ahmad has authored hundreds of suspense thriller novels in Urdu for children which include characters such as Inspector Jamshed, Inspector Kamran Mirza as well as the Shoki brothers. He died on November 17, 2015 at Karachi International Airport on his way back to Lahore, before boarding the plane after attending Karachi International Book Fair held at Karachi Expo Centre.